Nokia Prodigy with Windows Phone 8 Apollo supposed to be "unbelievable"
As if we didn't have enough rumors about the incredibility of the next Galaxy S or iPhone phones, now Nokia is getting in the mix with enigmatic hints how the next Windows Phone 8 devices it makes are going to be "unbelievable". In a classic unconfirmed rumor, someone allegedly met with a Nokia engineering guy, and now says that the Apollo devices, one of which is with the rumored codename Nokia Prodigy, are going to be "incredible" and much better than the current Lumia range. Something along those lines we've already heard from Nokia's Niklas Savander, as well as the CEO Stephen Elop himself. Most of the talk on the guy's Twitter account is back and forth with N9 aficionados, and the obvious reason for meeting with the Nokia employee is more Meego Harmattan's future and the upcoming default apps updates there, rather than Windows Phone. The upcoming Nokia Windows Phone 8 devices were apparently super enough to deserve a good word from an engineer that owns a Nokia N9, though. Recently we learned from MSNerd that Nokia has been given carte blanche by Microsoft to create proprietary camera module interfaces for its own Windows Phone handsets, as well as put in charge of the battery and antenna designs, so we are waiting with baited breath for the Apollo crop of Nokia's WP handsets. It better release this year, something like october - november. Windows 8 itself will be released october. Ugh, this doesn't sound promising. They also said that lumia 800 "WILL BLOW OUR MINDS". If they don't release something with hd, screen, decent multi core processor, and pure view camera, they should better keep quiet. that was just marketing hype. Though, if MS is actually giving Nokia the go ahead to do whatever it wants with WP8 for the handset, then we might really see some stellar sets. 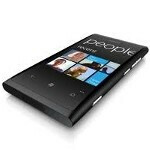 WP8 + nokia's best camera, battery, and other tech? Might be pretty cool. lol it can work superfast and elegantly than other phones having this features !! !! And the design itself crushes any other phone , even the iphone :) :) You should follow nokia a little bit more !! !! This year, is the last chance for Windows Phone to make a lasting impression on the market. I love the OS and hope that it goes big! The only other option is to go home. they did not come with those stuff because WP7 has hardware limitations. That's why everyone is waiting for Apollo. Wow, I'm excited! This is the upgrade to my first windows Phone: from HTC Radar in December 2011 to Nokia Prodigy in October 2012! Bring it on! Windows Phone may be young. But it has captured a great amount of people in its simplicity and beauty. The OS is smooth no matter what phone ive tried it on. Everything is fluid. Alot of people give it schtick because of that "Windows" Logo. Honestly take it away and people would look at it as an amazing simple to use OS. some great Os'es have come and go. (WebOS) But i think Windows Phone has what it takes to be big.